When you want to view the images on a TV or other monitor, simply plug The Morse reciever to your video input. 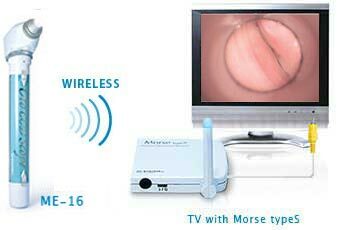 The Morse wirelessly receives the signal from RFSYSTEMLab's wireless cameras (or our wirless video transmitter Herts) and displays the images onto your TV or other monitors. It is a single cable connection, no complication. *The Morse receiver is also compatible with our USB Video capture device (& other capture cards) for viewing / capturing / editing the images on a computer (PC & Mac compatible).